An unaltered photocopy of your DD-214 displaying your service during the operation period in Vietnam. If award eligibility is not stated on your DD-214 you must submit a copy of your DD-214 - AND - a photocopy of military-issued documentation establishing your eligibility. 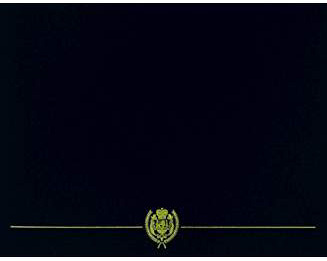 Awarded For Service During the Operation Period. 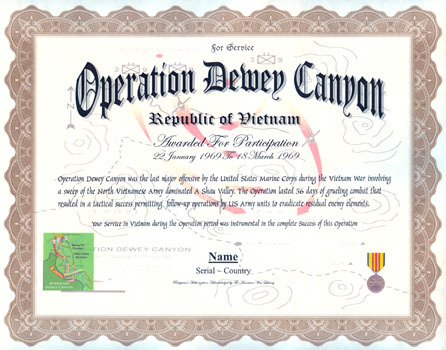 Operation Dewey Canyon was the last major offensive by the United States Marine Corps supported by in-unit and external U.S. Naval forcec during the Vietnam War involving a sweep of the North Vietnamese Army dominated A Shau Valley. The Operation lasted 56 days of grueling combat that resulted in a tactical success permitting follow-up operations by US Army units to eradicate residual enemy elements.